Each year in Massachusetts there are over 120,000 car accidents. These accidents seriously injure more than 4,000 people and claim upwards of 320 lives per year. Those who have been injured in a Massachusetts car accident may be entitled to monetary compensation for the injuries they have sustained through a personal injury lawsuit against the responsible parties. 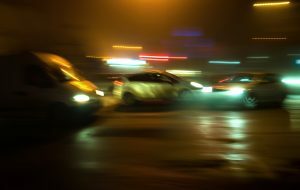 While some Massachusetts car accidents are the result of one party’s negligence, it is often the case where the fault is shared between multiple parties. In some situations, the plaintiff is found to have been partly responsible for causing the accident. As a result, courts need a way to determine which plaintiffs should be entitled to recover for their injuries, and how a plaintiff’s own negligence should be factored into that recovery. Thus, Massachusetts lawmakers passed Massachusetts General Law section 85, implementing a system known as modified comparative negligence. Court cases can take a very long time. However, the medical bills, lost wages, and other losses suffered by the victim are still occurring while the victim waits for the trial and subsequent damages. That said, Massachusetts law allows some parties to obtain interest from the date the filed the action until the date of the judgment. This can help to offset some of the costs and losses incurred by plaintiffs while they wait for trial. 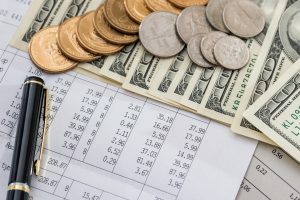 The United States District Court for the District of Massachusetts heard a case that addressed when prejudgment interest has to be paid by defendants. Massachusetts case law has noted that prejudgment interest is a remedy that is based in state law and applies when state law claims are brought in federal court. When interest begins to accrue, and the kinds of damages that are permitted to accrue interest, depends on a number of factors. Specifically, Massachusetts law says that interest begins to accrue at the time the action is commenced. This gives plaintiffs another reason to bring their claims forward as soon as possible. The interest stops accruing at the time that the final verdict is rendered. The law specifically requires that the clerk of the court add an additional 12% yearly interest on top of the original damage amount. This is the case even when the total verdict with interest goes beyond the maximum liability allowed by law.